The distributor has announced that it now has six technicians with BMET (British Marine Electrical Technician) certification, authorised by BMEEA and BMF, for installation and maintenance of electrics on-board, ensuring superior technical support, expertise and aftercare for its growing customer base. David Payne, Technical Sales Manager; Chris Baker, Operations and Technical Manager; Jeremy Cobley, Junior Installation/Service Engineer; Leigh Doe, Senior Technician; Tom Langford, Installation/Service Engineer; and Chris Treichel, Senior Technician have all successfully passed the industry-recognised qualification. Reflecting its growing portfolio and full-system design capability, Fischer Panda UK will be represented across several locations at this year’s METSTRADE. The next generation iSeries variable speed generators and Neo generators will be featured on the main Fischer Panda GmbH stand in Hall 2, while the hybrid electric propulsion systems will be highlighted in an I-nnovationLAB showcase. The company will also be present on the Sea Recovery stand in the Superyacht Pavilion where a selection of its watermaker range will be on display. Its integrated mobile power solutions and smart digital switching systems will be represented by Mastervolt/CZone, while Dometic air-conditioning systems and Bellmarine electric drive systems will also feature at the show. The new staff certifications are the latest success in a landmark year for the Verwood-based company after it received Lloyd’s Register Type Approval for its generators, and was awarded BMEEA Product of the Year for its sister marine diesel generators, the Panda 4000s Neo and the Panda 5000i Neo, while Sales and Marketing Director Chris Fower received the Young Business Person Award at the British Marine Trades Association Awards. In 2019, the focus will be on Fischer Panda’s popular market-leading iSeries sets, featuring technology that allows adjustment to changing power requirements. Enabling a much quieter, lighter and fuel-efficient system, the range is supplied with PMGi inverters as standard and can be ordered for easy connection in parallel for larger boats. 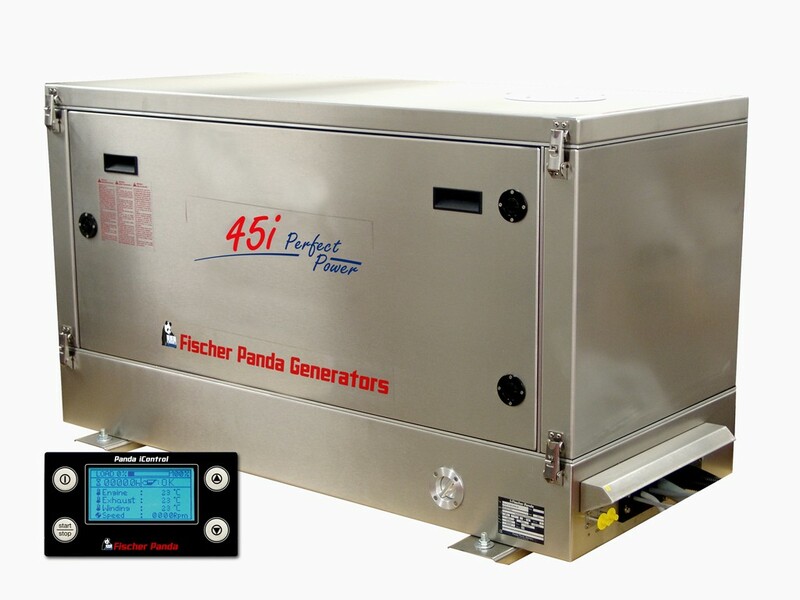 As the latest additions to the diesel generator expert’s range of compact gensets, the Panda 4000s Neo and the Panda 5000i Neo are the first to use Fischer Panda’s in-house designed water-cooled FPE320 single cylinder diesel engine. Its electric propulsion systems include the 48V DC EasyBox system - the simplest system on the market to install, with all components completely ‘plug and play’ making them ideal for both boat builders and retro fits alike. The systems are available in 3.8kW, 7.5kW, 10kW and 20kW, with the two larger systems being available in 600rpm and 1200rpm, and are ideal for both small commercial and leisure craft. 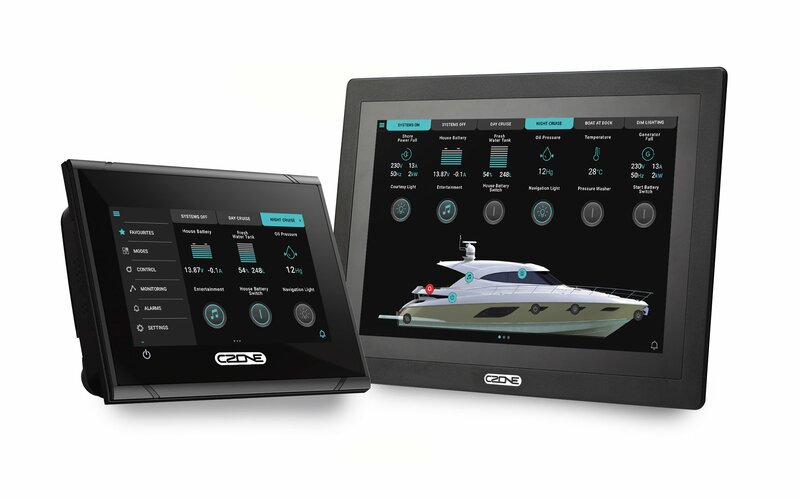 Fischer Panda UK also offers its compatible Mastervolt power solutions and CZone control and monitoring functionality for customised system integration around a Fischer Panda generator purchase. Visit Fischer Panda UK at METSTRADE on Stand 02.500.